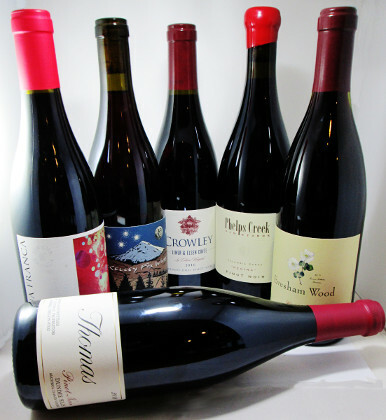 We tasted through a set of 40 of Oregon's finest Pinot Noirs, and these six represent the finest of the premium selections. These wines are delicious now and fit for the holiday table, but if you have room in your cellar, these wines will also reward a little patience. 2 bottles of each selection.